← Anime Talk: Subtitled or Dubbed? We had a great turn out for this one with some real funny entries, below you will find my Top Five in no particular order. 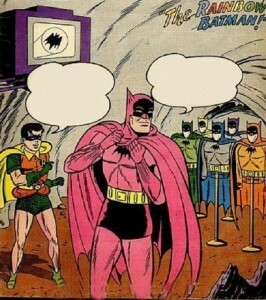 Robin: I don’t know Batman, don’t you think that’s sending out the wrong message? Batman: Don’t worry chum. It’s the only costume I could find that was more ridiculous than the one George Clooney wore. 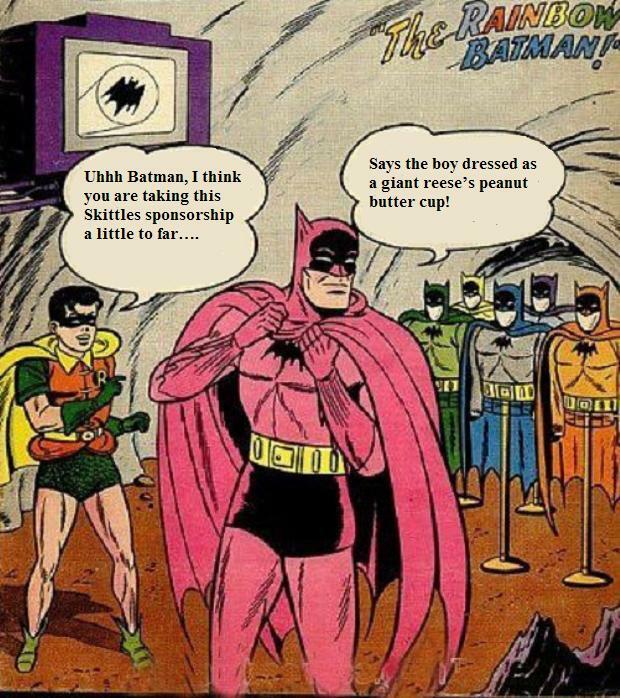 Robin: Uhhh Batman, I think you are taking this Skittles sponsorship a little to far…. Batman: Says the boy dressed as a giant reese’s peanut butter cup! Robin: What’s with all the new colors, Batman? Batman: Joker put my costumes in the washer with a colored sock. Now he must pay. 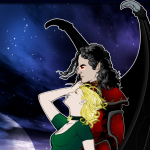 Robin: But aren’t you afraid of what people will think? Batman: Are you dense or something? I’m the goddamn Batman. My pick exactly!Very funny man! !All were great! NHA! You are hereby charged with helping us make the world laugh.